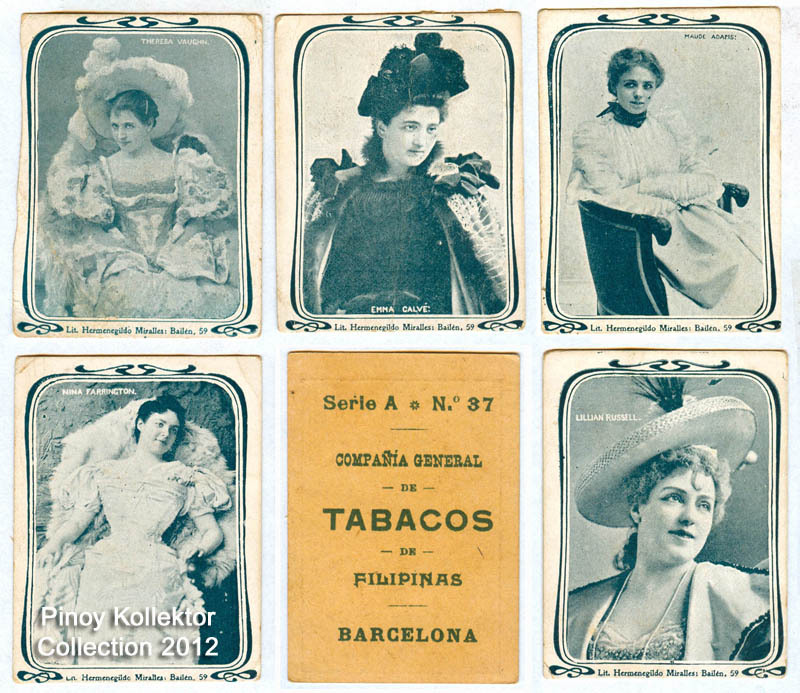 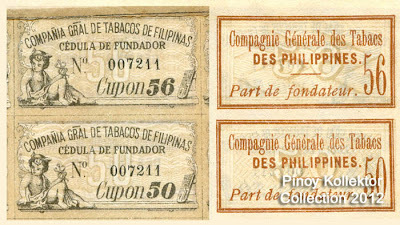 The history of Cornpania General de Tabacos de Filipinas, more popularly known as Tabacalera, is linked to a significant stage in Philippine history - the abolition of the tobacco monopoly. Instituted by Governor Basco y Vargas, the monopoly was an instantaneous success in generating income for the government but it also spawned abuses and anomalies. 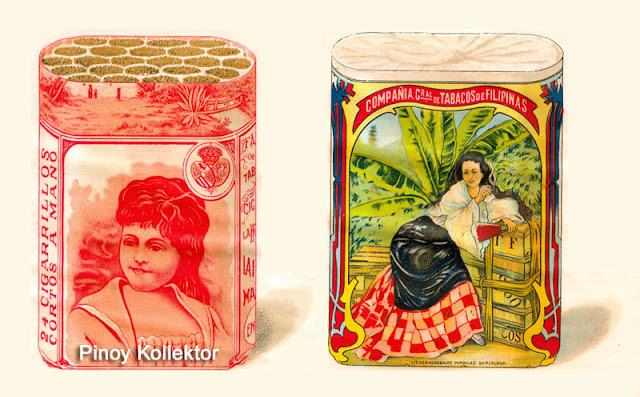 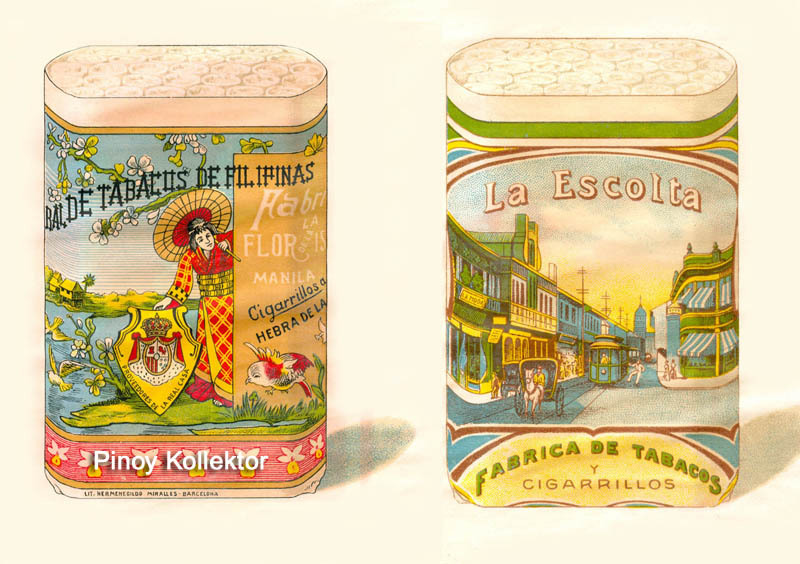 The tobacco factories of the Spanish government were then set up for bidding. 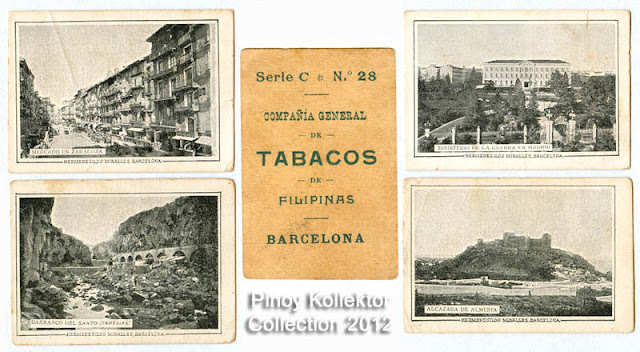 Against British and French firms which competed, Tabacalera won the bid. 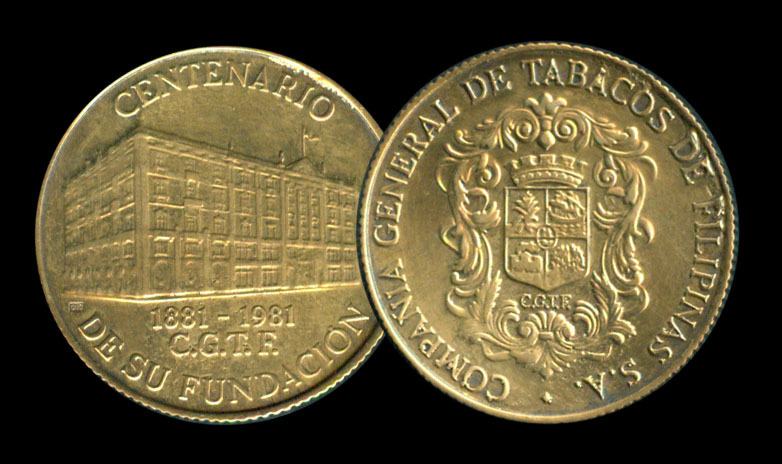 Incorporated in Barcelona, Spain on November 16, 1881, it had for its prestigious incorporators the first Marquis of Comillas, His Excellency Don Antonio Lopez y Lopez and the Banco Hispano Colonial, the Sociedad General de Credito Inmobilario Espanol and the Banco de Paris y de los Paises Bajos. 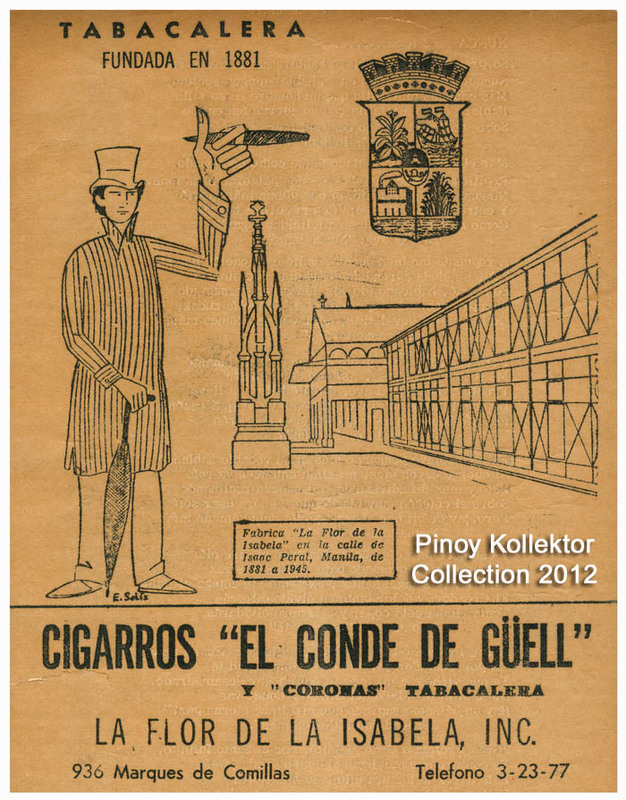 Thus, Tabacalera not only rented the five Spanish Government factories but also set up its own factory in 1895 in one big block - Marques de Comillas (now Norberto Romualdez Street), between Isaac Peral (now United Nations Avenue) and estero de Balete. Once one of the world's largest tobacco factories, Tabacalera housed thousands of employees who rolled "La Flor de la lsabela" cigars and cigarettes - smoked throughout the world for its fine, mild blend. 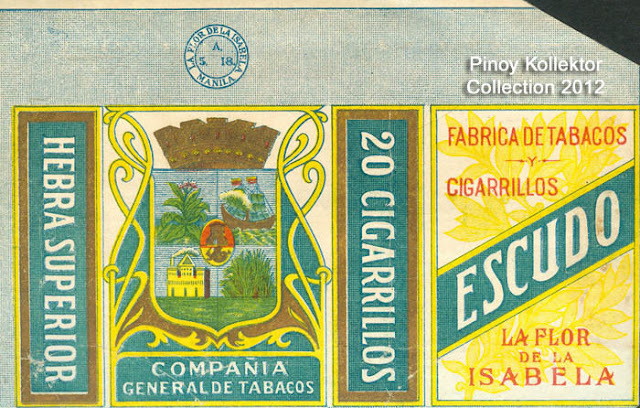 It was through a systematized process of growing, manufacturing and exporting of the finest tobacco leaves from Cagayan and Isabela that the company soon became a byword. 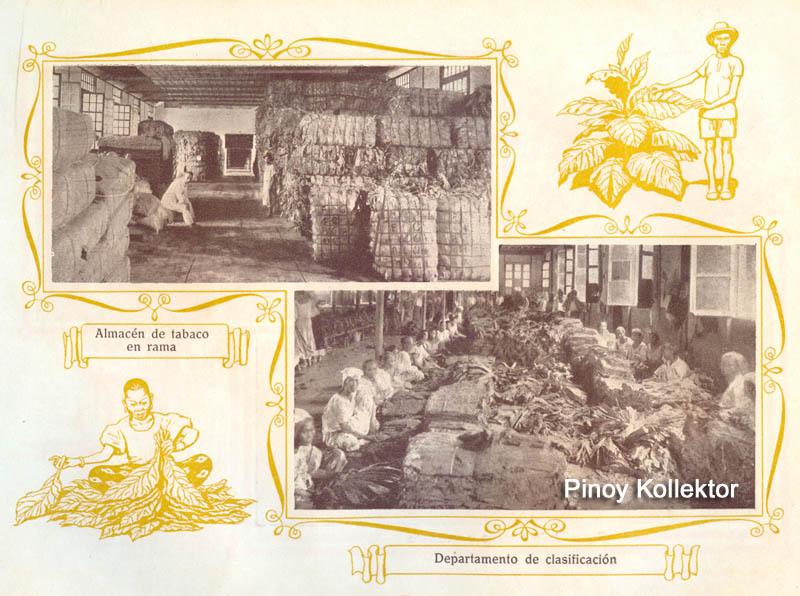 Its continued development brought about its consolidation during the first few years of the First World War when sugar, copra and hemp were included in its umbrella of products for purchase and export. To facilitate transport of its products, the company formed its own fleet of steamships which was used till just before the outbreak of the Second World War. After the war, the company's factories and other business concerns had to be rehabilitated and reanimated. And even as Spanish products and goods exported to the Philippines were channeled through this company, it also created contacts for other Philippine goods (hemp and sugar) in the European market. At the third floor of the pre-war Tabacalera building, there was a room the bachelor expatriates dubbed the "Republica", which President Manuel Quezon frequented and where he enjoyed some hearty moments. 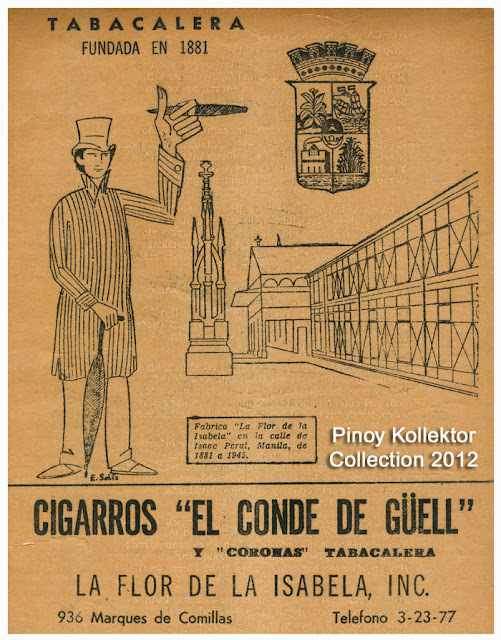 And by way of citing more interesting tidbits, Land Reform was practiced by President Quezon when about 300 to 500 hectares of land in Arayat, Pampanga was divided among the people, Other Philippine presidents followed and each time, Tabacalera gave and sold pieces of land at extremely low prices. 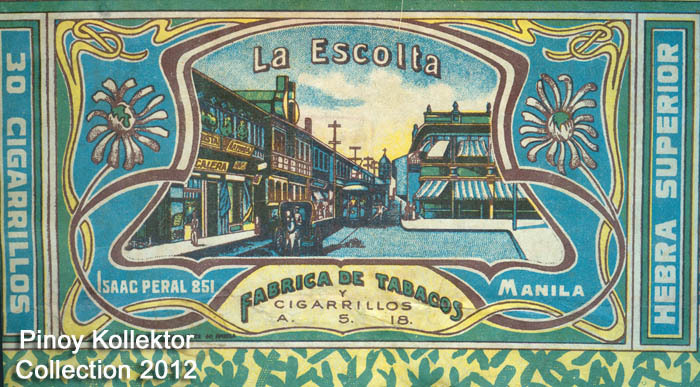 A cigarette wrapper showing ESCOLTA. 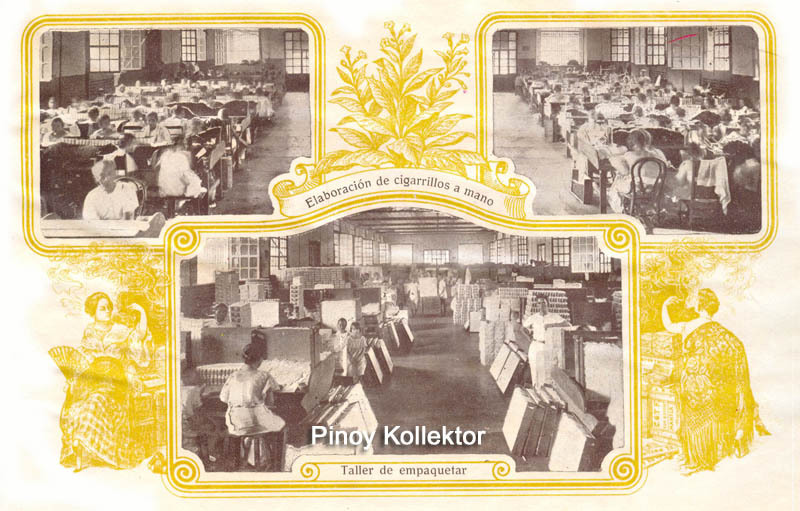 It will be remembered too that this premier tobacco company once gifted the country, through President Quezon, with an ornate Spanish chest (delicately filigreed with steel, gold and marble by master craftsmen) to be the repository of the Philippine Constitution. 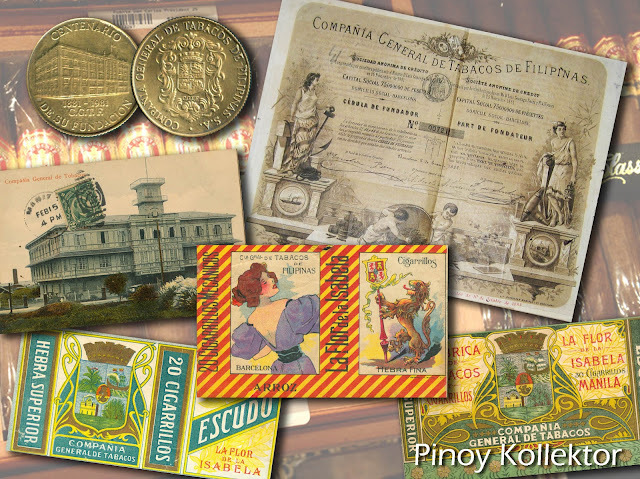 Another valuable piece of Filipiniana added to the country's collection donated by Tabacalera to the Philippine Government through President Ramon Magsaysay are the rare six volumes of Fr. Manuel Blanco's Flora de Filipinas. 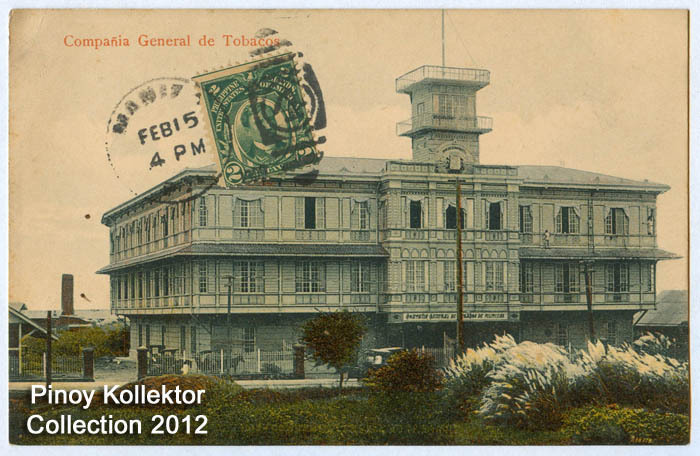 Tabacalera celebrated its 130th centennial last 2011. As to its other commercial activities, it continues to do business with Indonesia, Japan, Latin America, North America and Europe, ranging from tobacco to sugar to consumer goods from Spain and other parts of the world. 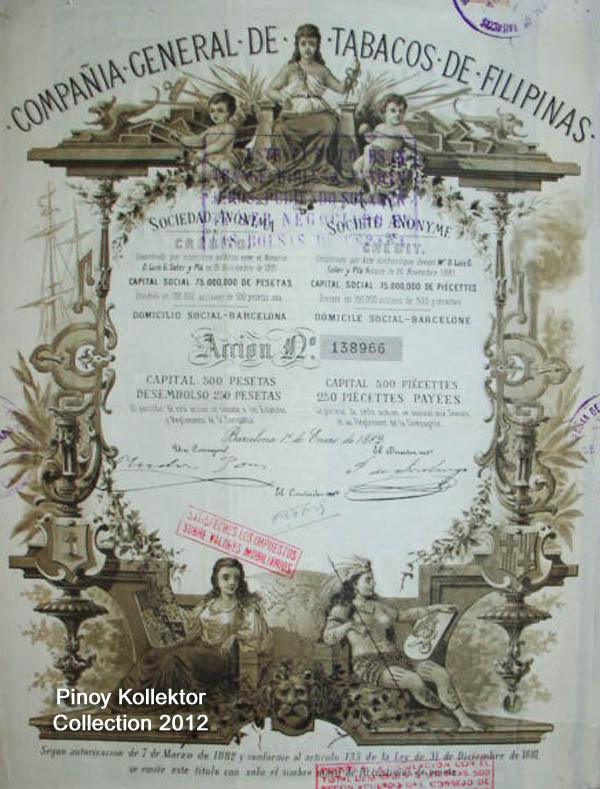 The country benefits tremendously from these contacts since indirectly the Philippines is brought to focus. And all because of that tobacco leaf. 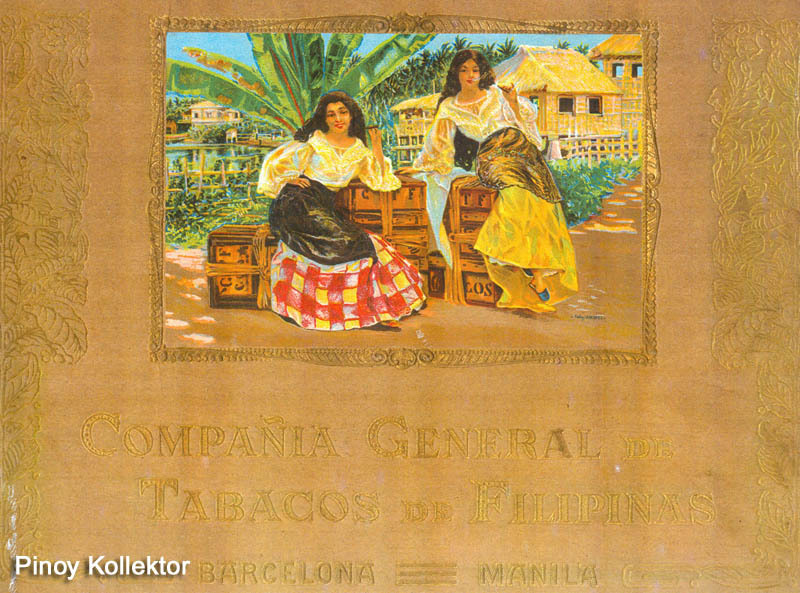 Today, the company has reverted back to its old name, TABACALERA. 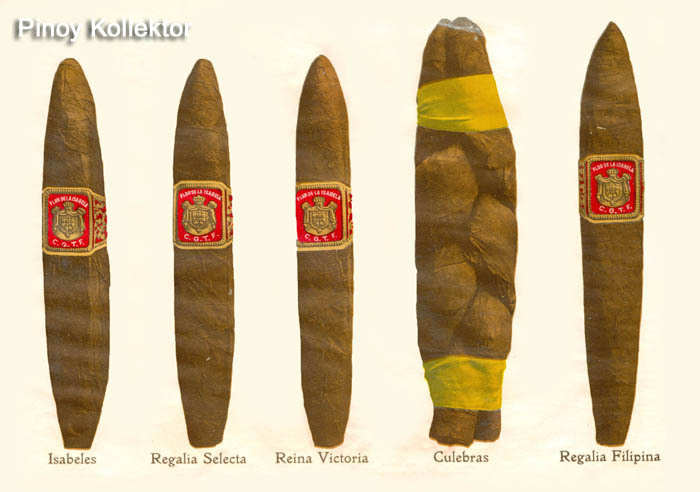 Their tradition is more than a name. 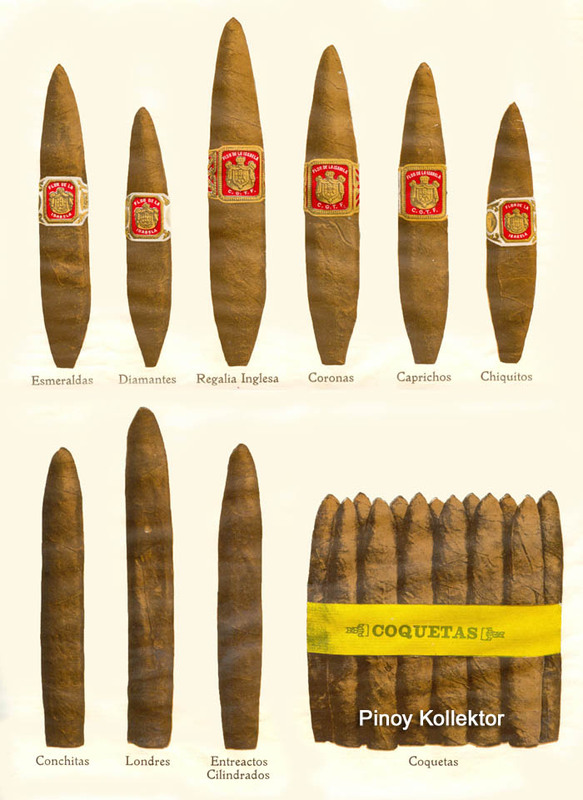 Each cigar they make is work of art, and a product of impeccable quality. Their cigar undergo strict quality control measure to ensure consistency in appearance, fermentation, draw, smell, and taste. 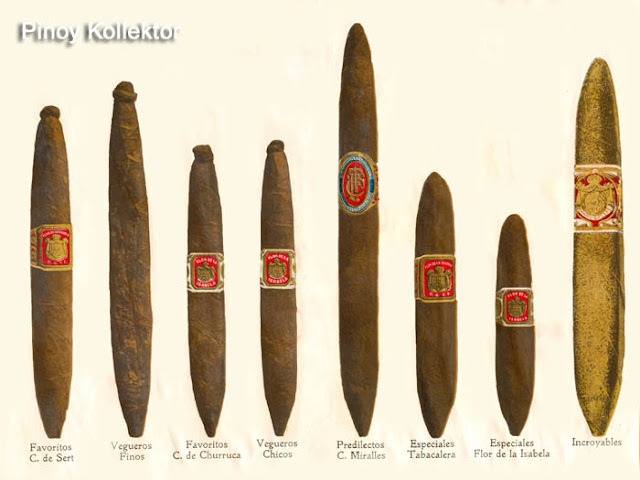 Their goal remains to deliver the best smoking experience you will ever have. 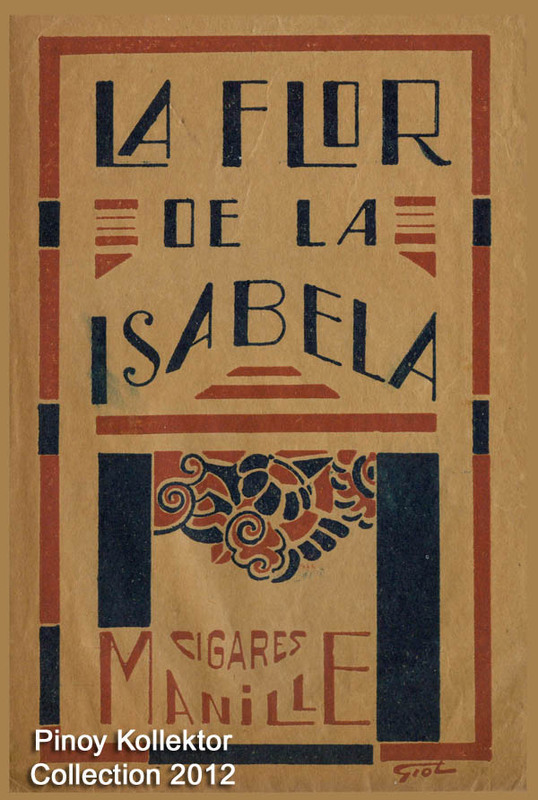 I would like to share this book by COMPANIA GENERAL DE TABACOS DE FILIPINAS promoting their cigar LA FLOR DE LA ISABELA published in 1925 in Madrid. It featured their factory and how they made the finest Cigar and Cigarettes in Asia. 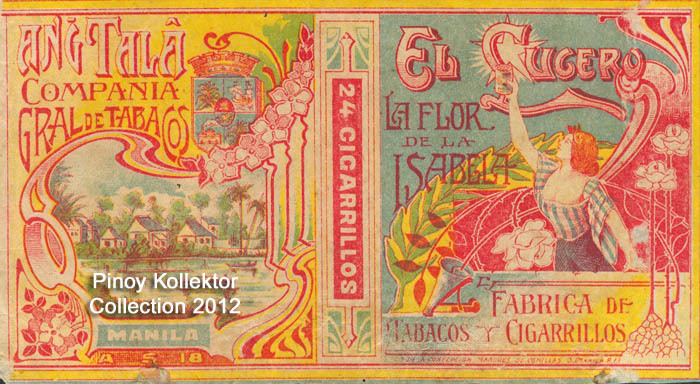 It also contains a catalog of different brands of La Flor De La Isabela cigars. This is the name of the large and important Cigar and Cigarette Factory which the COMPANIA GENERAL DE TABACOS DE FILIPINAS owns in Manila, a name which has been made famous throughout the Far East and in the United States of America, and is used as a trade mark and brand for the products made from the finest tobacco of the Philippine Islands which is produced in the provinces of La Isabela , on the Valley of Cagayan. 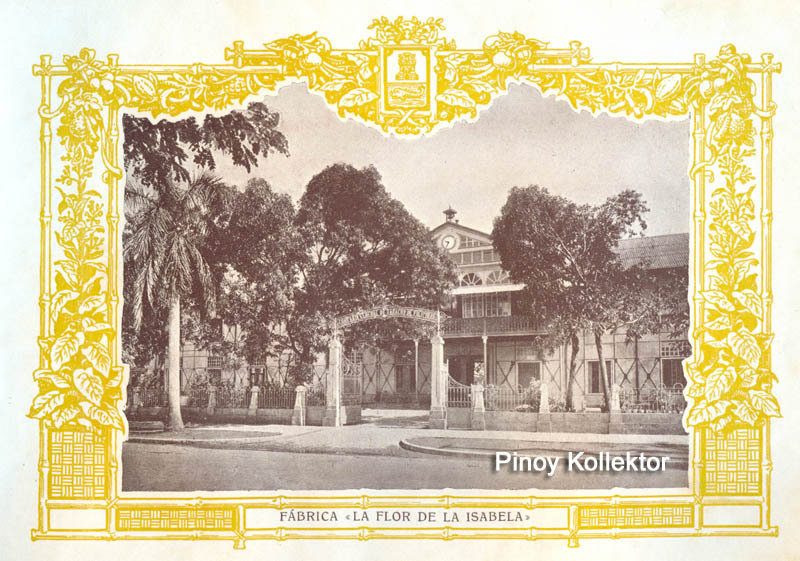 The «La Flor de la Isabela » Factory, was the first property which the COMPANIA GENERAL DE TABACOS DE FILIPINAS erected on the lands which they acquired in Manila in the vicinity of the Pasig River when they established themselves in the islands in the year 1882. It was opened in the year 1885 and has therefore been in existence about forty years. 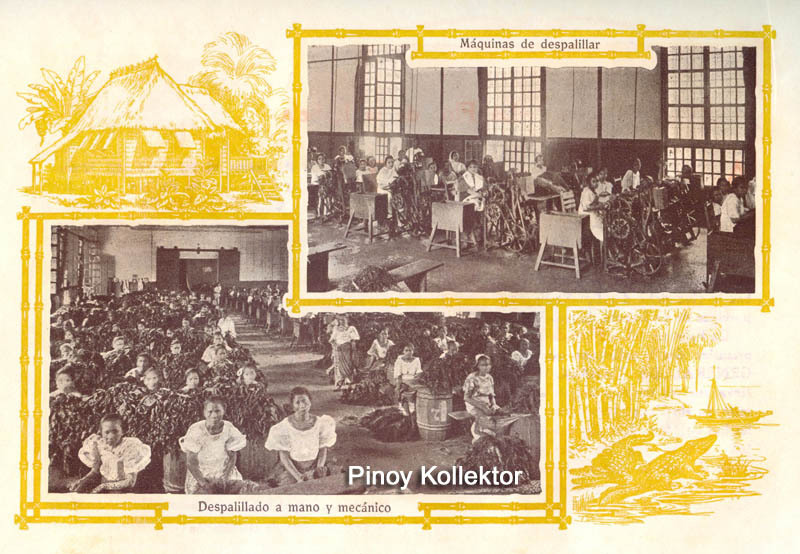 The increasing success of its output has necessitated additions to Factory and plant, and to-day the hands employ number 5,000. 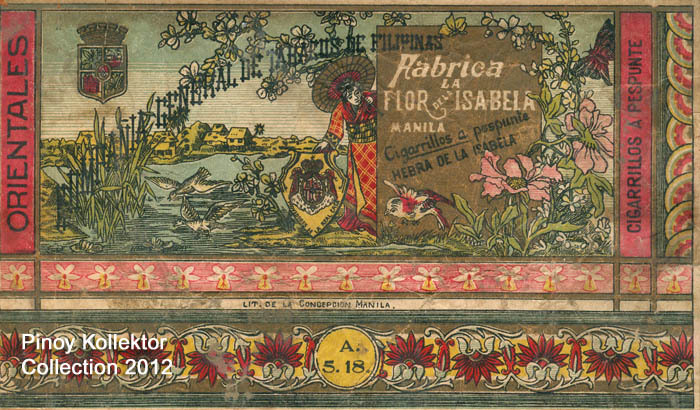 The land in Manila belonging to the COMPANIA where «La Flor de la Isabela » is situated is called Pedro de San Marcelino and comprises the highest, most attractive and healthy part of the capital of the Philippine archipelago. Here the COMPANIA has created one of the principal districts and centers of industrial and commercial activity in Manila, which is approached by the Marques de Comillas Avenue, so called in honor of the first President of the COMPANIA. 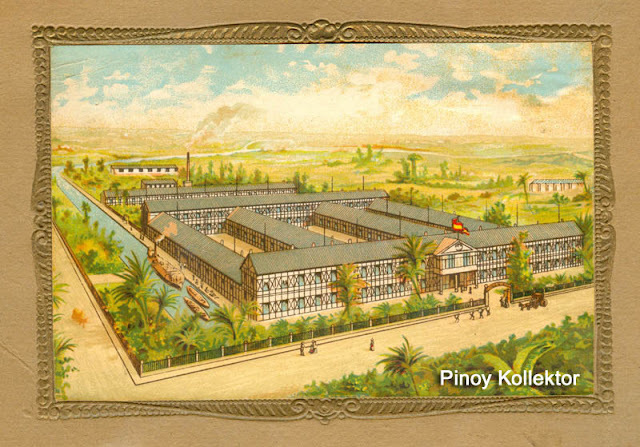 The magnificent property, admirably situated, traversed by canals and avenues, which join the Pasig River and the center of the city, covered with factories, warehouses, offices, residences and gardens, is today an ornament and worthy of modern Manila. In one of the most picturesque avenues, viz Isaac Peral, the Factory «La Flor deIa Isabela» is found, surrounded by gardens, passing through which the visitor reaches the various buildings composing the spacious factories. 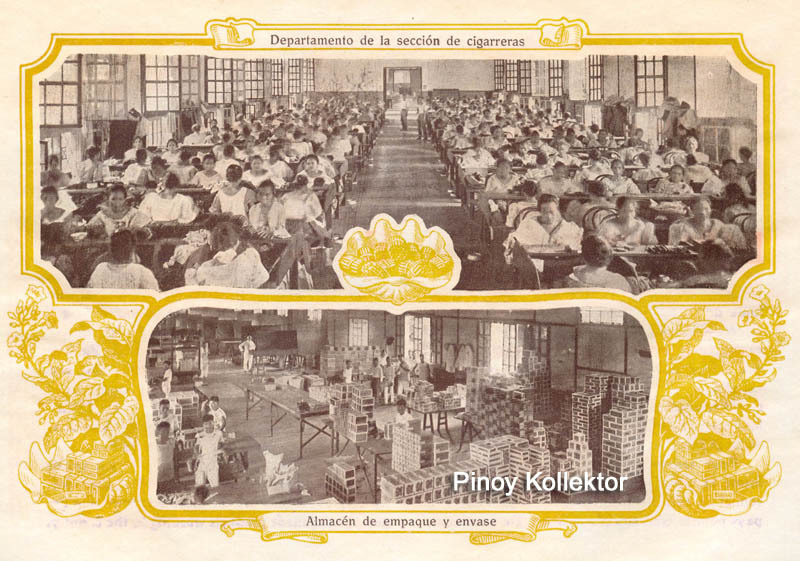 The Factory consists of 42 departments, where a populace of workers of both sexes, managed by experts dexterous In the manufacture of Cigars, produces the various classes of Cigars and Cigarettes so highly appreciated by the public. 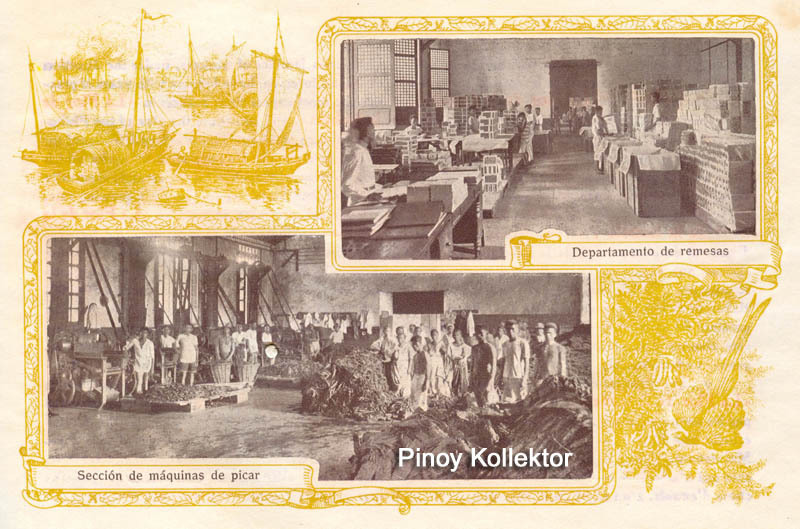 The spacious extent of the departments where the workshops are installed, the cleanliness, the hygienic services, and the kindly and careful treatment received by the Factory employees, have been the subject for praise on the part of Americans and foreigners who are constantly visiting «La Flor de la Isabela », The machinery used in the Factory for the different complicated manufacturers is of the most modern and up-to-date type, and the Chiefs of the Factory give special attention to effecting improvements and progress in this connection. 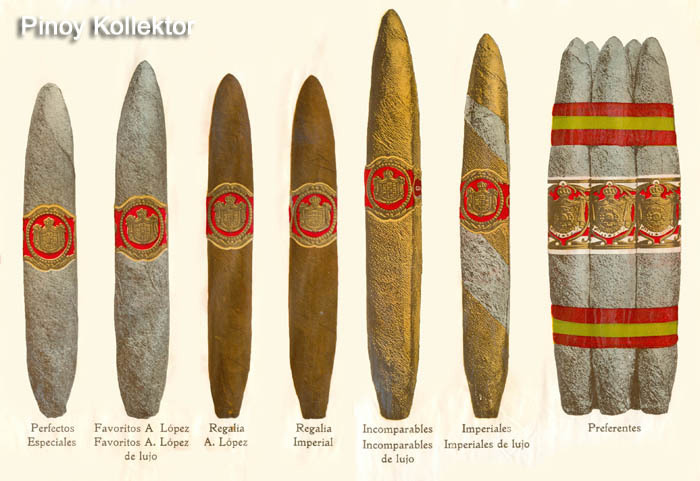 Today the equipment of «La Flor de la Isabela », has no equal in the Far East and can compare with the best cigar and tobacco factories in Cuba. Where the tobacco used by the, La Flor de la Isabela is produced? In order to appreciate the general excellence of the products of the Factory of the COMPANIA GENERAL DE TABACOS DE FILIPINAS an idea must be formed of the fertile valley where its tobacco is grown. The Valley of Cagayan, previously mentioned, where the COMPANIA has its magnificent tobacco estates, comprises part of the basin of the river Grande de Cagavan, which rises in the Caraballos Sur mountains and flows from north to south through the provinces of Isabela and Cagayan into the China Sea at the northern extremity of the Island of Luzon, the largest island of the Philippine Archipelago. 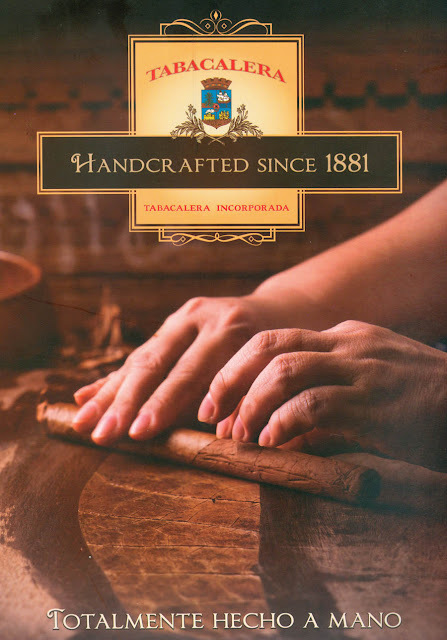 This magnificent river which has its source from the waters of the Sierra Madre and the Caraballos mountains has numerous tributaries and a total length of 220 miles, of which 160 miles are navigable, and it drains an area of not less than 10.000 square miles. 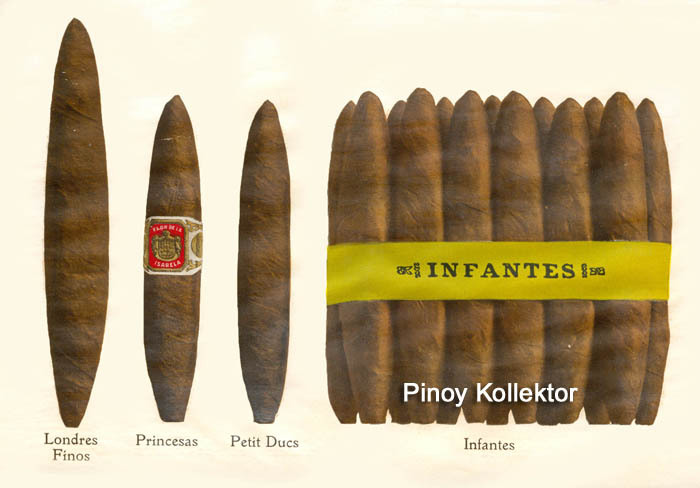 During the rainy season it inundates and fertilizes the verdant plains affording glorious views. The richness of the practically virgin soil, the abundance of fertilizing water, the moderate average temperature of 26 degrees centigrade, make the Valley of Cagayan the most suitable plain for tobacco cultivation. 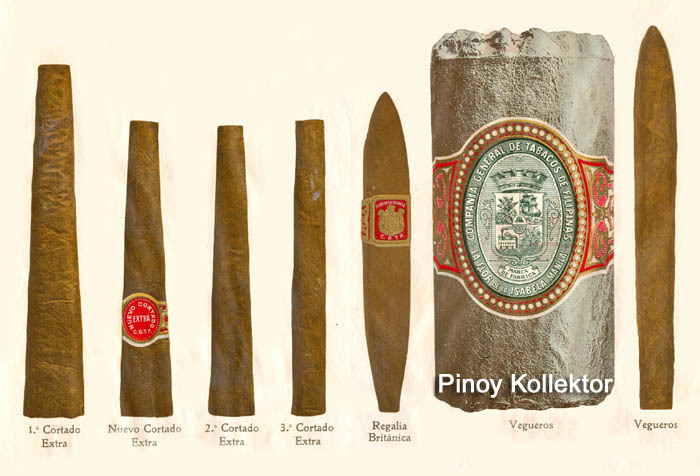 The plants in this part reach to a height of 2 meters t and the dimensions of the best quality leaf exceed one meter in length and a half a meter in breadth. 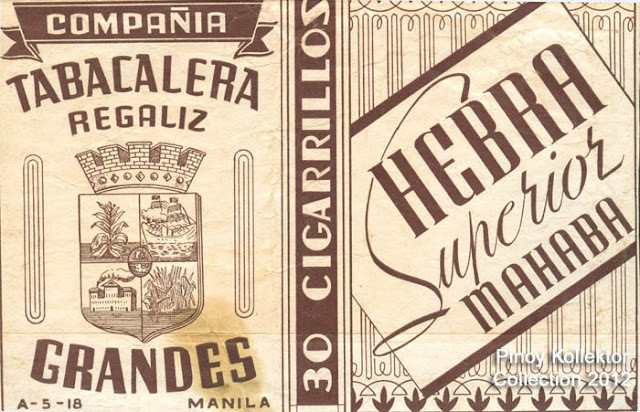 The exuberant growth and development of the tobacco plantations of La Isabela and Cagayan the fine and delicate aroma of the luxuriant leaf have made famous the Philippine tobacco which competes with the best in the world, and it is strange to know that a plant of which the original seed was imported from Mexico by the Spaniards in the 15th century should today be one of the principal sources of wealth of the Philippine Islands. 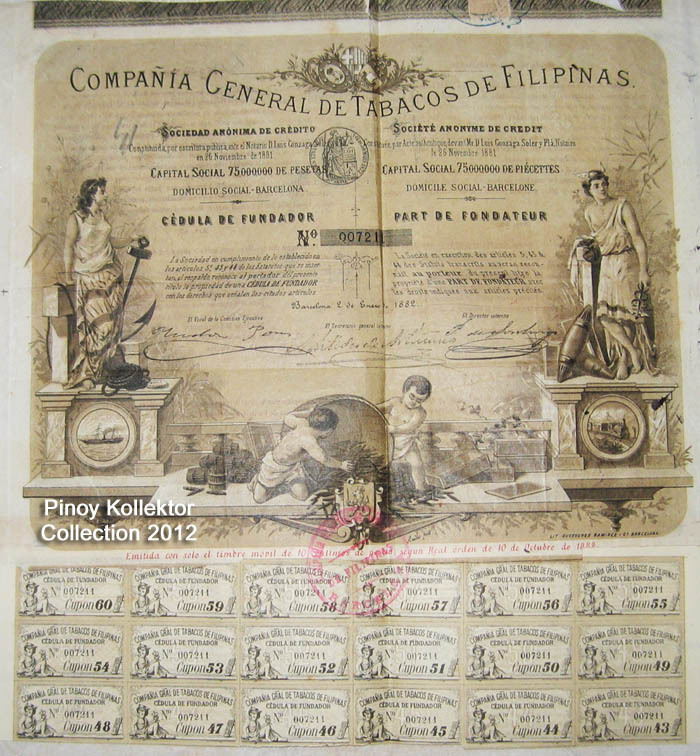 When the COMPANIA was established in that country in 1882t it acquired its first estates in the best tobacco zone of the Valley of Cagayan, it systematized the methods of cultivation, it established the modern harvesting of the leaf, it carefully selected the grades, training thousands of settlers and employees and finally there were created the splendid and rich plantations which it possesses there, from where the finest tobacco of the Far East emanates. 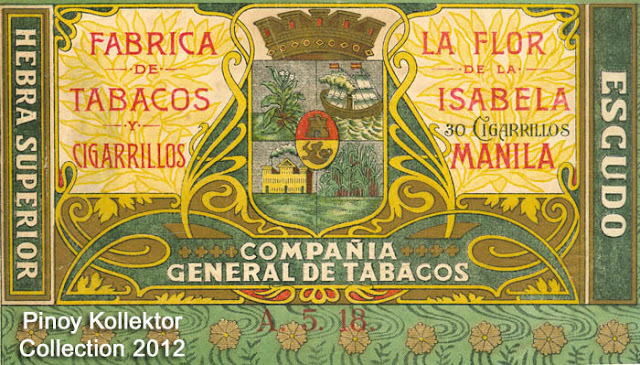 The flower of this tobacco, that is to say « La FIor de Ia Isabela », is used in the manufactures of this Factory. 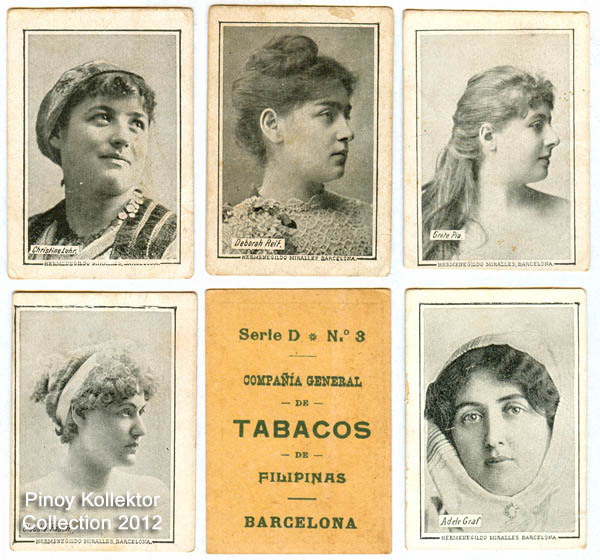 In addition the COMPANIA GENERAL DE TABACOS DE FILIPINAS, supplies several of the monopolies of Europe and other countries with large quantities of tobacco harvested in the valley and other parts of the Archipelago amounting annually to many thousands of hundred weights. 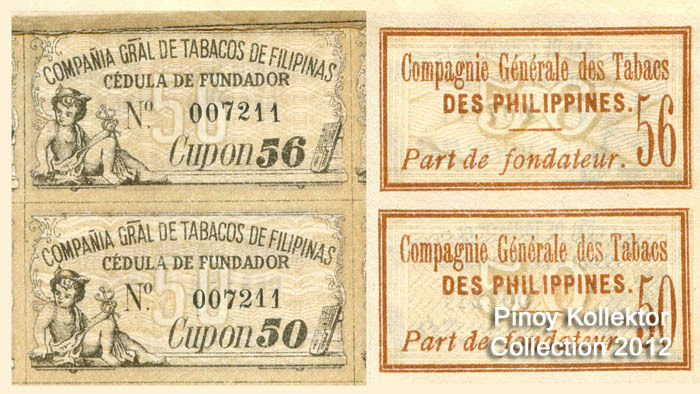 More than 60 010 of the tobacco produced in the Philippine Islands, is exported or manufactured by the COMPANIA. 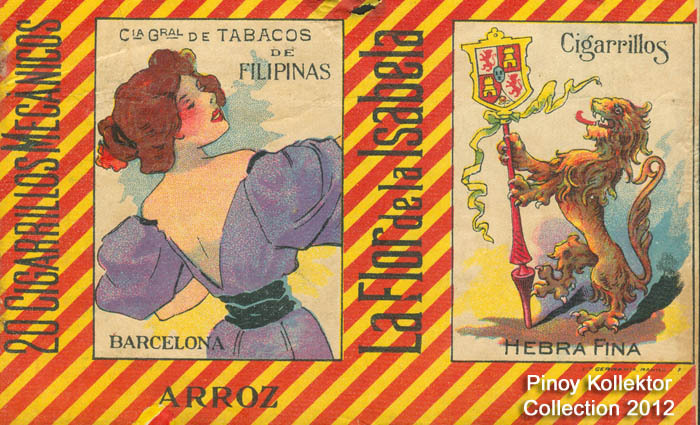 EQUALLY for its products as for its output « La Flor de la Isabela » is to-day the first Tobacco Factory in the Philippine Islands, and one of the foremost in the world. 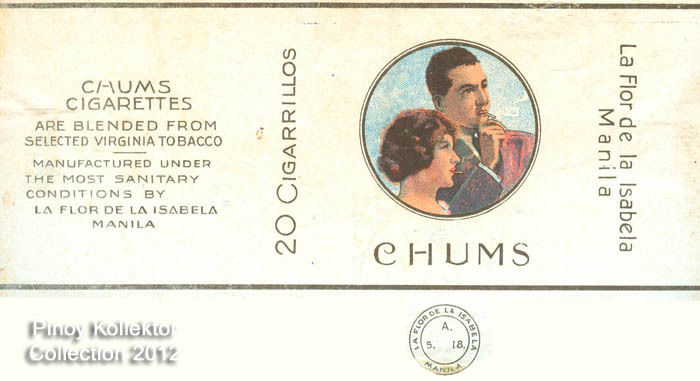 Its annual shipments comprise an important proportion of the export of manufactured tobacco from the Islands. 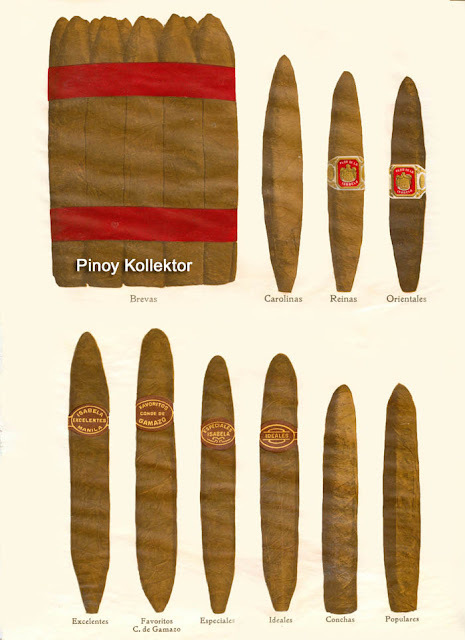 Although the products of this important Factory reach all the world's markets, and the marks and brands of its choice Cigars are enjoying universal popularity, its exports are chiefly to the United States of America, to China, Japan, Australia, and to the most important countries of Europe. 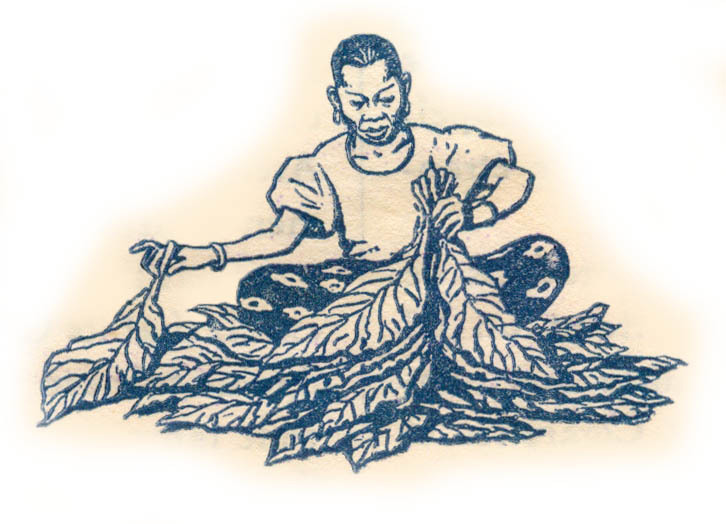 To attain this, the Chiefs of the Factory have, for many years, been fostering and selecting their skilled employees who are the most dexterous and expert at hand made products working in the country. 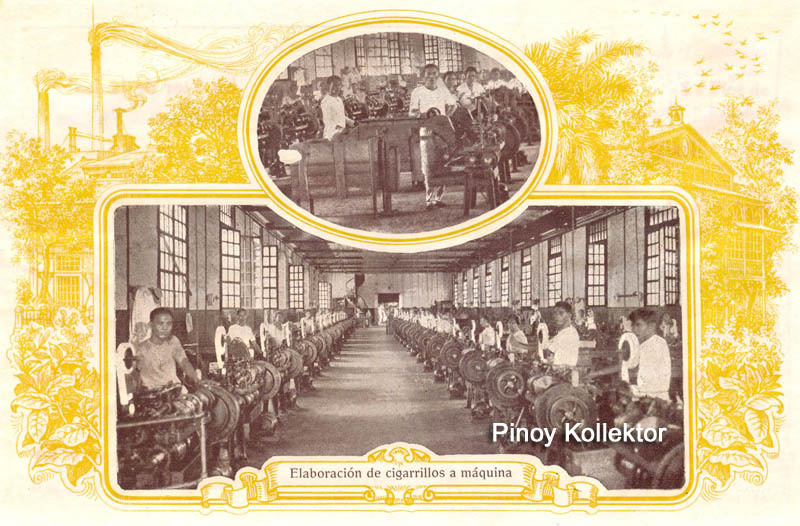 Numerous families of workers, under the direction of Cuban foremen, have become with years of practice the most expert cigar makers in «La FIor de Ia Isabela » and constitute the pick of the Philippine tobacco workers. 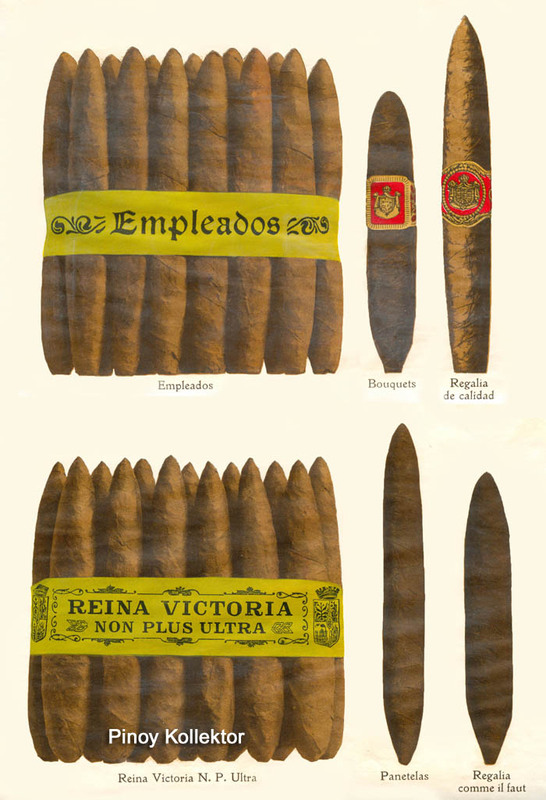 This Factory introduced into the country the Havana style of make which today meets with such a large demand, especially in the United States where there is a growing sale. 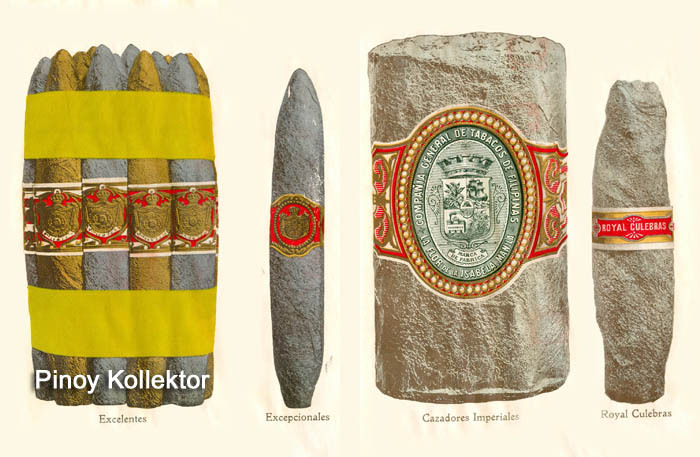 The extraordinary demand for «La Flor de la Isabela» products, a daily increasing one, has rendered necessary an increase in the original equipment. 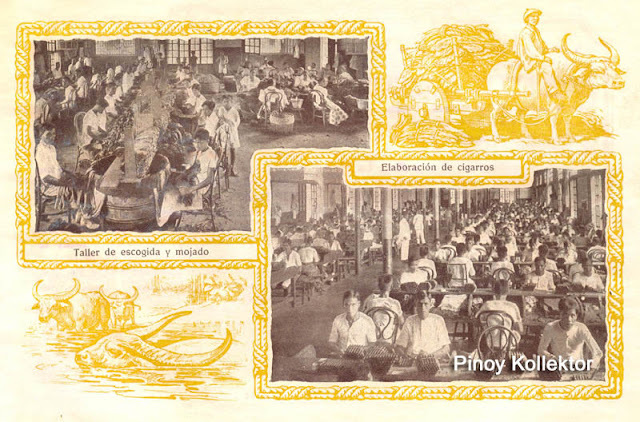 The constant number of Cigar and Cigarette makers who work by hand has reached 4.000, and to this number must be added the machine workers, and workers in the tobacco preparing branch, the sorting department, packing, shipping, &, and the administrative and managing staffs. 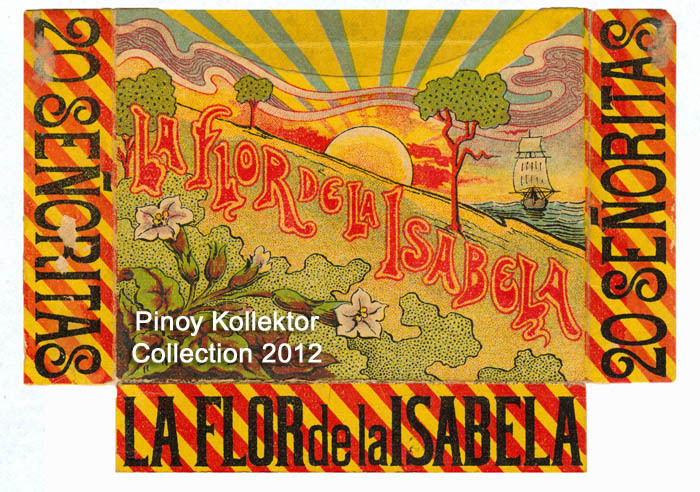 Several years ago, although the manufactures of « La Flor de Ia Isabela » were then esteemed by discriminating smokers, export to the United States on a large scale was unknown. 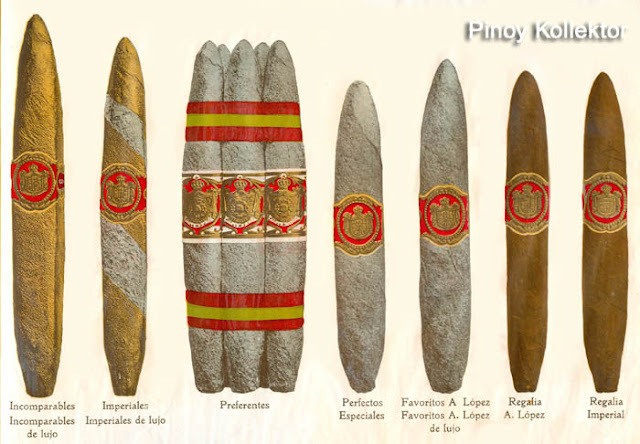 Today there is not an American smoker that does not associate the name of «ISABELA», with something choice that suggests a refined and delicious pleasure. THIS Factory, devoting everything to the quality of its products, with a .nice appreciation of the public taste, with its colossal experience, is now able to produce a Cigar of ideal luxury due to the fine and selected quality of the wrapper and the leaf and the irreproachable make of the Cigar. 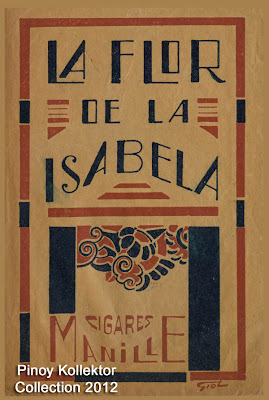 What discriminating smoker does not know the famous «Vegueros finos», the «Isabela excelenies», the « Senedores», «Inuencibles» or «Imperieles» of «La Flor de la Isabela ». What smoker has failed to enjoy the rich and delicious aroma of the «Perfectos» , «Regalias» , «Misiones» and the various sizes of «Especiales» made by «La Flor de la Isabela» . In the large Pacific Liners, in the continental express Trains, in the best Eastern and American Hotels, in the Clubs, Spas, in aristocratic Functions, at the finest Banquets, the best products of «La Flor de la Isabela », are preferred by the smoker -of educated taste and connoisseur of good tobacco. The proof of this consists in the always increasing output of the Factory, which in the last years has been triplicated. Its monthly export of Cigars has today reached many millions, and the home consumption is daily increasing. 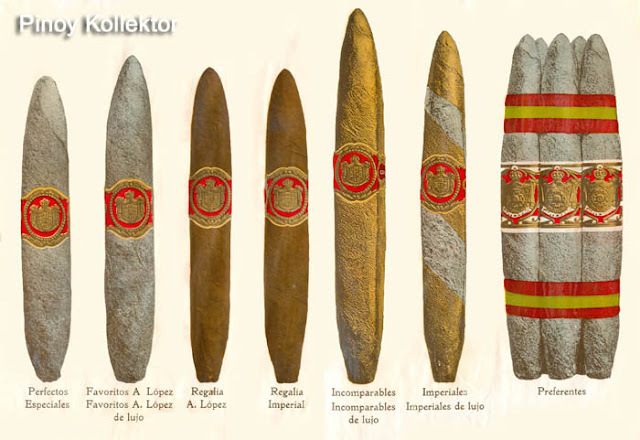 Demonstrative statistics are unnecessary and it is sufficient to say that the production of «La Flor de la Isabela », is considerably greater than that of the other factories of the Far East. 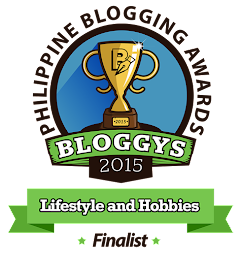 Why the Manufactures of La Flor de la Isabela , are the best produced from Philippine tobacco? 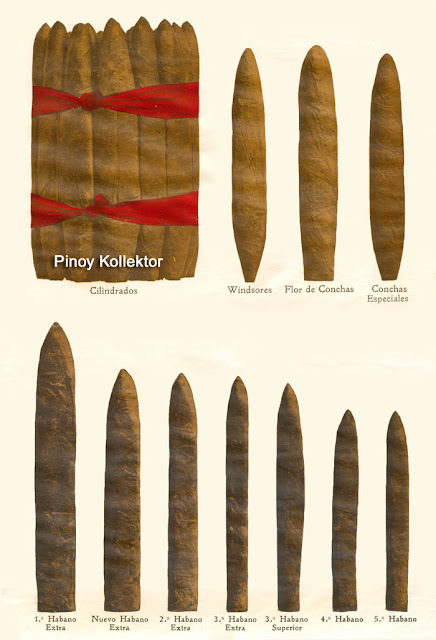 The outstanding reason is that the quality of the tobacco used has been the constant thought and care of the Chiefs of the Factory. 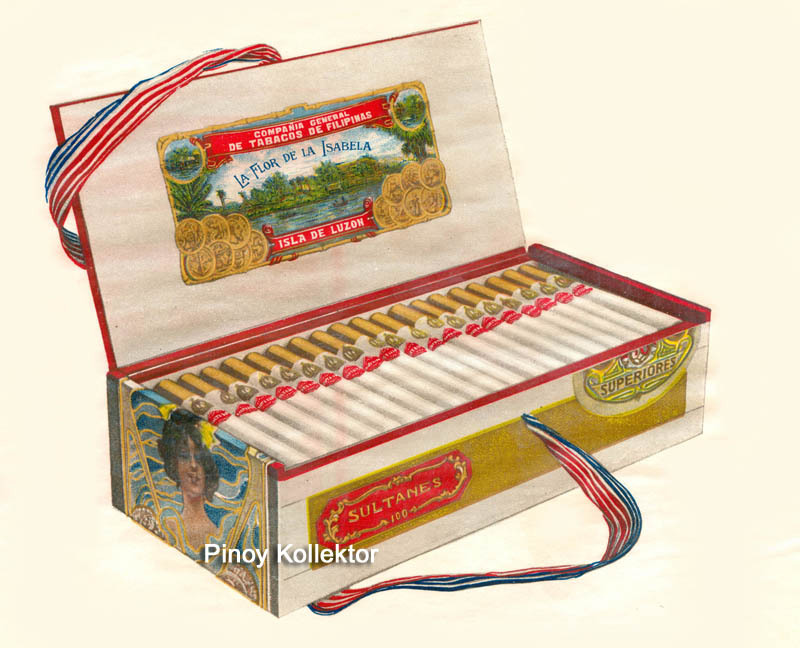 The COMPANIA GENERAL DE TABACOS DE FILIPINAS, has always made efforts that their manufactures should be the best conceivable, both as regards the material used and workmanship, and the best as to selection and choice produced in the Philippine Islands. To a large extent, the reputation which Philippine tobacco has gained abroad is due to the Factory «La Flor de la Isabela », The COMPANIA in attaining the success which has rewarded its efforts has had many advantages. Firstly, with its organization throughout the tobacco growing regions of the Archipelago, installed for the purpose of fulfilling its contracts for tobacco leaf exported abroad, it has been an easy matter to select for manufacture from the thousands of tons exported annually only the best tobacco. 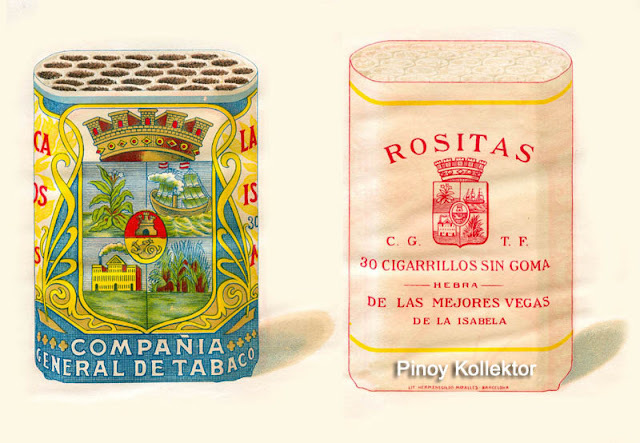 Again, the COMPANIA in its large tobacco plantations in the Valley of Cagayan has experimental grounds where the finest tobacco has been cultivated with special care, by, which means exceptionally developed plants, of rich aroma and extraordinary fineness, have been obtained, and its tobacco planters have been trained in a system of dean and perfect cultivation gained during forty years' experience. 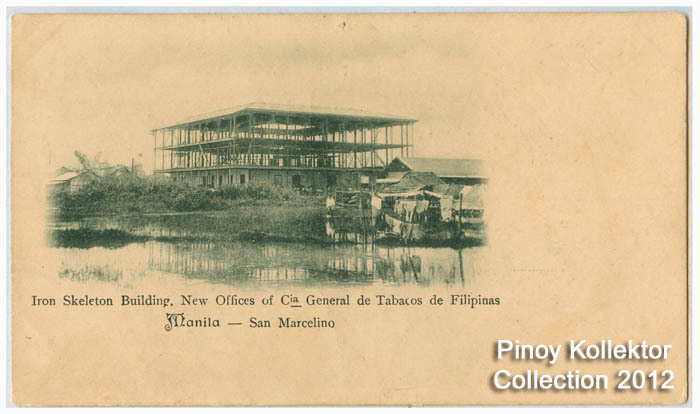 It addition to its facilities for acquiring the best tobacco grown in Philippine soil, the COMP ANIA has the advantage of its own means of transport, both as regards inland waterways and inter-insular steamers, whereby the tobacco is conveyed to Manila from the smallest and largest depots in the country, where it is there classified and sorted in the scrupulous and careful manner which is proverbial in the COMPANIA. 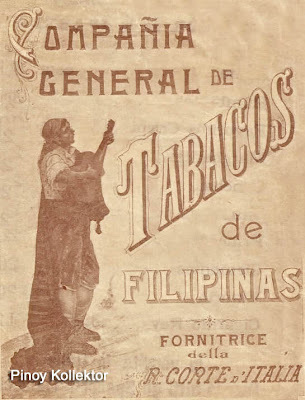 The manner in which all the branches of the COMPA NIA GENERAL DE T ABACOS DE FILIPINAS work, both in the interior and in the shipping ports, is the subject of laudatory comment, not only on the part of the highest authorities in the Archipelago, but also of visitors and commercial men both native and foreign. 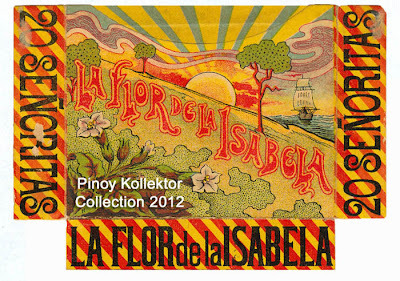 That the products of «La Flor de Ia Isabela» excel, that its Cigars and Cigarettes and other Philippine tobacco manufactures today enjoy a world- wide fame, are not matters for surprise. 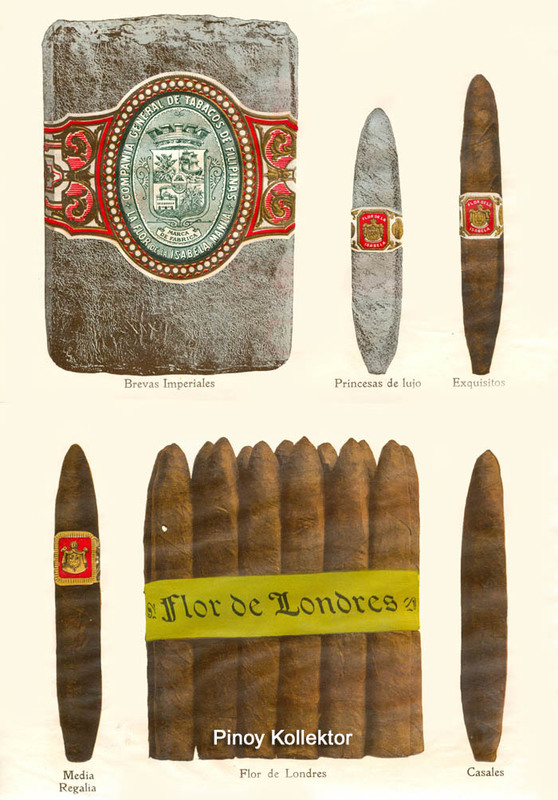 Both are the result of the perseverance and initiative in the undertaking, of the progress in methods of cultivation and manufacture, and of a careful and assiduous regard for tastes of their clients, all of which have always been the Chief aim of those in charge of the Factory «La Flor de la Isabela ».